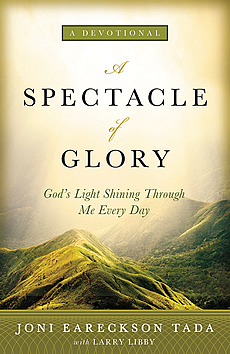 Through this new devotional, A Spectacle of Glory, Joni Eareckson Tada and co-author Larry Libby offer 365 biblically sound readings that specifically address the role of pain in our lives. Joni has been a quadriplegic for more than 50 years now, deals with chronic pain on a daily basis, and is a breast cancer survivor. 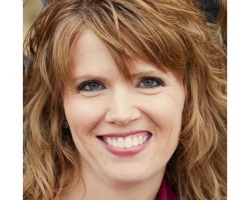 She knows well the questions we ask when we don’t understand God’s path for us. 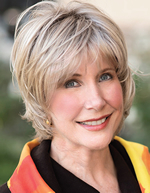 Joni is living proof that God can actually use our weakness, pain, struggle and disappointments to bring His love into sharper focus as we follow Him in this dark world. Each daily reading contains a scriptural reference, a brief devotional and a prayer to help us gain a clearer vision of what it means to receive strength and reflect His glory through our daily, seemingly mundane lives. An entire year of biblical perspective on how our frailties can be redeemed is an irreplaceable gift that is sure to inspire readers for years to come.